U.4755X-STN-2 Finish: Satin Nickel Features: -Cross handles. -Insulated brass sidespray. -Solid brass construction. -Perrin and Rowe collection. 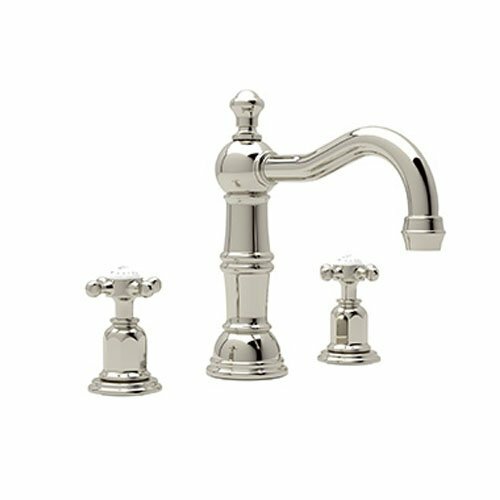 Product Type: -Bridge faucets. Material: -Brass. Hardware Material: -Brass. Number of Items Included: -2. 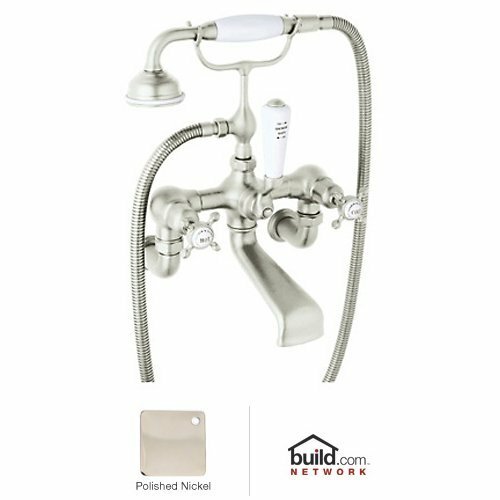 Pieces Included: -Faucet and sidespray. Number of Installation Holes: -3. 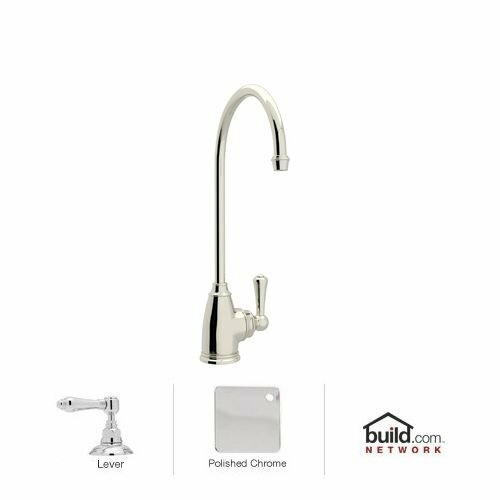 Dimensions: Overall Faucet Width: -10". Overall Faucet Height: -10.5". Overall Faucet Depth: -9". Spout Reach: -9". Spout Height: -8". Maximum Faucet Centers: -8". Installation Hole Diameter: -1". Overall Product Weight: -10 lbs. 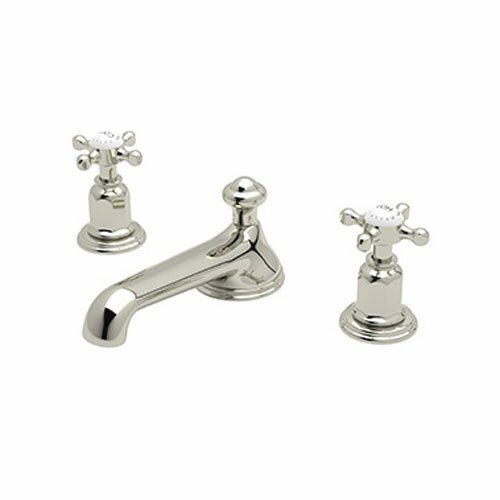 U.3721X-PN-2 Finish: Polished Nickel Features: -Perrin and Rowe collection. -Traditional style. Product Type: -Standard bathroom faucet. Number of Items Included: -3. U.4756L-APC-2 Finish: Polished Chrome Features: -Swivel spout with two point bearings and sealing. -Lead free to comply with CA, VT low lead requirements. -Insulated brass sidespray. -Solid brass construction. -Perrin and Rowe collection. Product Type: -Standard kitchen faucet. Number of Installation Holes: -3. Material: -Brass. Bridge Faucet: -Yes. 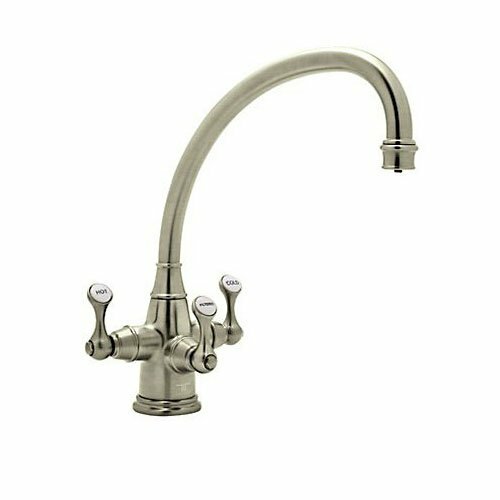 Dimensions: Overall Faucet Width: -8". Overall Faucet Height: -10.5". Overall Faucet Depth: -9". Spout Reach: -9". Spout Height: -8". Maximum Faucet Centers: -8". U.4746STN-2 Finish: Satin Nickel Features: -CNC machined. -Swivel spout with two point bearing and sealing. -Solid brass barstock construction. -Perrin and Rowe collection. Product Type: -Standard kitchen faucet. Number of Installation Holes: -2. Material: -Brass. 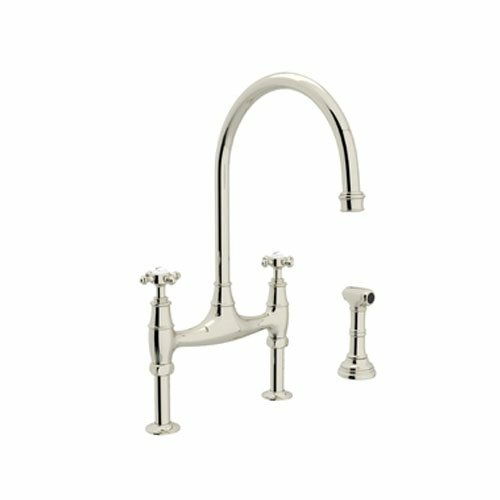 Dimensions: Overall Faucet Width: -3.5". Overall Faucet Height: -11". Overall Faucet Depth: -10.19". Spout Reach: -9". Spout Height: -8.25". 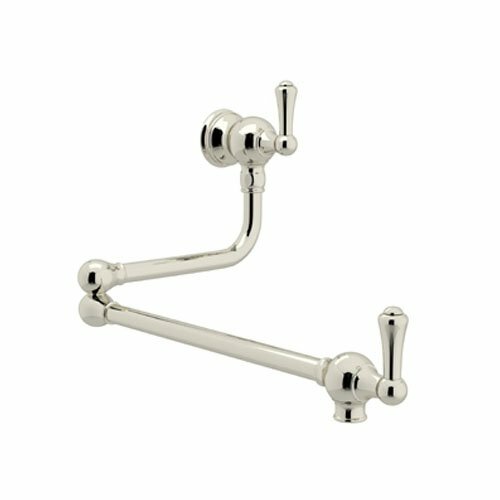 U.4718X-PN-2 Finish: Polished Nickel Features: -Includes straight unions. -Cross handles. -Deck mounted only. -Hot and cold mix at the handspray. -Handspray is insulated. -Patented diverter system. Product Type: -Instant hot and cold dispensers. Material: -Brass. Hardware Material: -Brass. Number of Items Included: -2. Pieces Included: -Faucet and sidespray. Number of Installation Holes: -3. Bridge Faucet: -Yes. 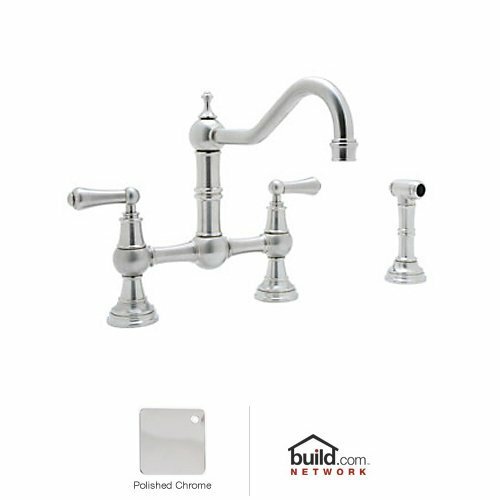 Dimensions: Overall Faucet Width: -9.875". 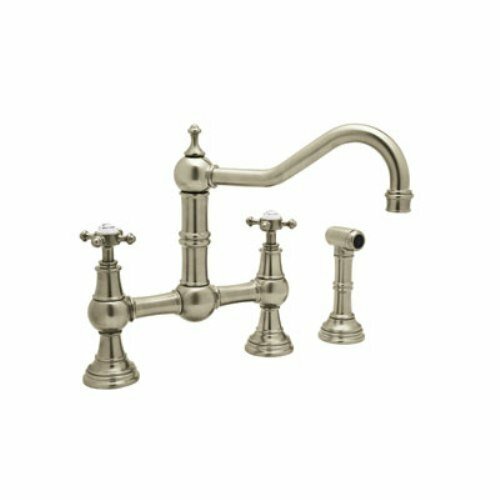 Overall Faucet Height: -16.375". Overall Faucet Depth: -8.875". Spout Reach: -8.875". Spout Height: -10.875". Maximum Faucet Centers: -7.875". Installation Hole Diameter: -1". Overall Product Weight: -7 lbs. 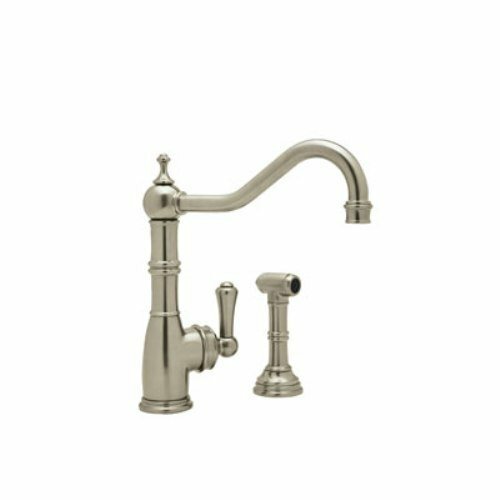 This item is a Rohl U.1420LS-STN-2 Satin Nickel Perrin and Rowe Perrin and Rowe Triple Handle Filtering Kitchen Faucet with Triflow Technology and Metal Lever Handles U.1420LS-2 . Purpose of use for Plumbing Fixtures, Kitchen Faucets and Accessories. This product is manufactured in European Union.